Our little one has a great imagination and loves roll playing. This was Fireman Molly to the Rescue! She . . . But yes she is. 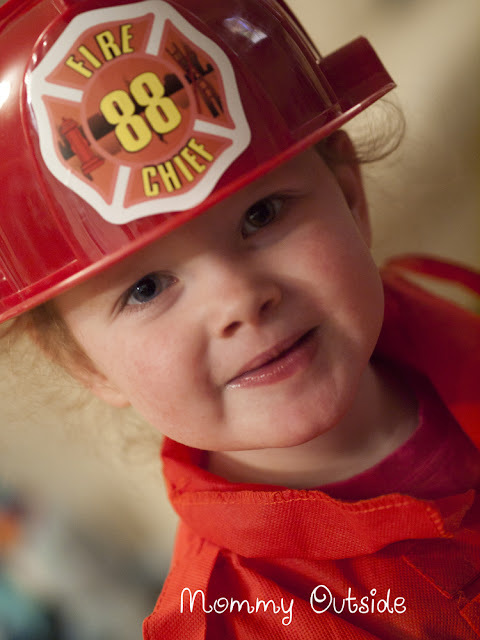 She's usually in pink frilly things but who can resist a fire fighter costume? s'a good looking firefigher you have there!